Vesper goes on a rampage with all that he did in this last week in game. Greed soon follows with some amazing feats he has achieve in game as well. 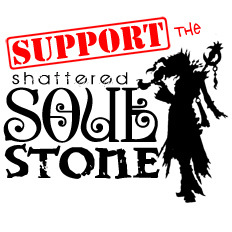 Want to know more, come listen to this humerus and action packed episode of the Shattered Soulstone Community Podcast! We here at the show would also like to congratulate All Things Azeroth from Dawnforge Productions on reaching their 11th year anniversary! If you are looking for a World of Warcraft Podcast to listen to, they might be just what you need! Go listen right after you finish this episode!